When it comes to curing acne, there’s no app for that. Computerworld explains that the FTC’s action was the first-ever against overblown health claims by mobile apps not supported by scientific evidence. Apps which claim to treat acne were found on both Apple’s App Store and Google’s Android Marketplace. The ruling puts programs such as AcneApp for iPhone and Acne Pwner for Android out of business as App Store and Android Marketplace comprise the biggest chunk of mobile app downloads. Said programs, the agency explained, “both claimed to be able to treat acne with colored lights emitted from smartphones or mobile devices”. The apps would have you hold the display next to the area of skin to be treated for few minutes daily. 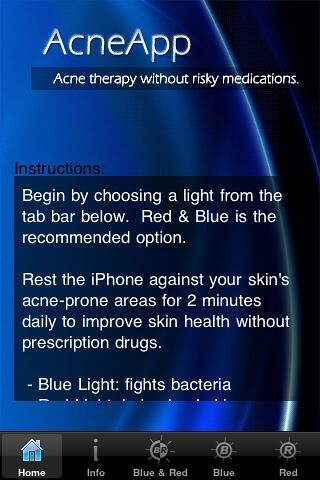 The ruling won’t affect apps that educate on acne treatment, such as this one.